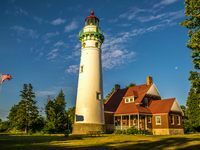 Winter, spring summer or fall - you are sure to find something to do in Michigan's Upper Peninsula! 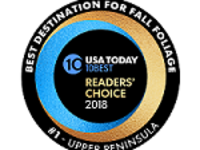 USA TODAY announced its 10 Best Destinations for Fall Foliage just in time for the country’s hardwood forests to be drenched in hues of red, gold and orange. Receiving the most public votes was Michigan’s Upper Peninsula (U.P.). The U.P. is home to all but one of Michigan’s waterfalls. 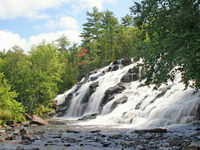 There are more than 300 falls scattered across the U.P., ranging in size from under 5 feet to 48+ feet vertical drops.